For the first time since Dyer Island Cruises started operating in 2000, the Southern Right whales are moving away earlier from tour bay. It has been an atypical whale season with numbers much lower than previous seasons and their late arrival to our coastline this year. It might be linked to the effects of the El Nino growing stronger. Whale season is over for us, BUT we are going ahead with our Eco & Marine Big 5 Tours. We have seen a number of dolphin pods in the bay which is always a great treat. Guests can also view the playful seals of Geyser Rock and appreciate the chance to see our endangered African Penguins on Dyer Island. Dream Catcher will join Marine Dynamics‘ boat, Slashfin, for a while to view the Great White Sharks of the world famous Shark Alley. 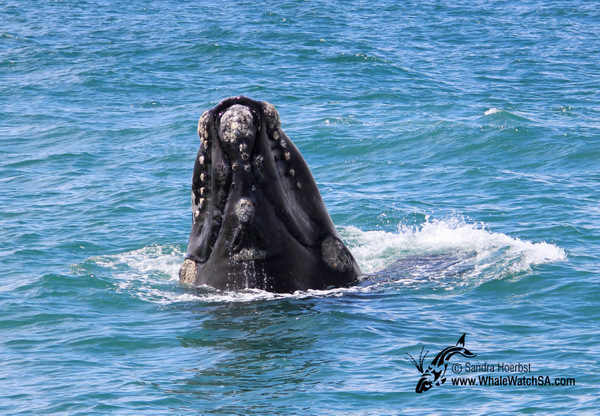 Although the Southern Right whales are leaving the bay, one can still be lucky enough to spot residential Bryde’s whales or Humpback whales passing by. 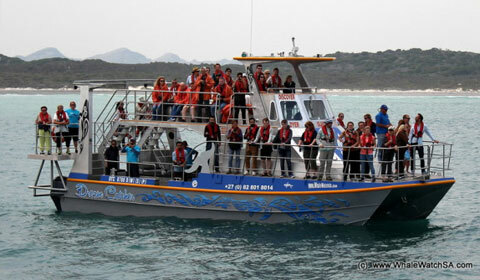 Join us for an exhilarating Eco Marine Big 5 Tour for a life changing marine wildlife experience. Our expert crew on board Dream Catcher will educate the guests on the unique eco-system of Dyer Island and answer any possible questions. Please feel free to contact our reservation department for bookings at bookings@whalewatchsa.com. We will confirm the trip times a day before, after a detailed weather and swell check. We are looking forward to sharing our wonderful Eco & Marine Big Five experience with your guests to make their dreams come true. The Eco & Marine Big 5 Trip will be R700 per person and R500 for children younger than 12 years.